Pipeline Road, Central Panama, in the presence of an antswarm certainly lifts forest birding to another level. Panama, the most southerly country of Central America is blessed with a rich biodiversity & wonderful birding lodges, located amidst spectacular scenery. 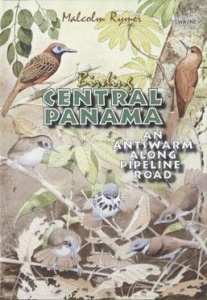 Panama has a phenomenal 929 bird species, with the easily-accessible Central Region hosting some 600+ of this total. Then experience the completely different habitats of El Valle, searching for orange - bellied trogons, black - crowned antpittas, white-tipped sicklebills & the like.